ShoutBloger: Recently released 3DS devices, Nintendo will show off the console HD allegedly at the Electronic Entertainment Expo (E3) 2011 which lasted 7 to 9 June 2011. A number of U.S. technology website believe Nintendo will introduce a much more powerful console than the Xbox 360 and PlayStation 3. Thus was launched the PC Advisor on Saturday April 16, 2011. 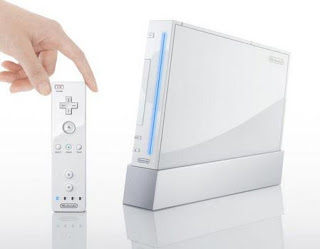 Although not known specification or control system is used, this console was allegedly still compatible with previous generation Wii games. Classic Nintendo games like Mario Bros. and Zelda is also expected to appear on the Nintendo Wii HD consoles. Nintendo itself is still a highly sought after gaming console. Evidently, the console was launched last March 3DS sweet selling in the market. Sold for USD250 in the United States, 3DS directly sold more than 400 thousand units in its first week.